For everyone else on your list, make sure to check out all our other gift guides for fans of Harry Potter, Star Wars, Stephen King, Stranger Things, The Walking Dead and more. Ask any Game of Thrones fan and they’ll tell you: Winter isn’t coming, it’s already here. 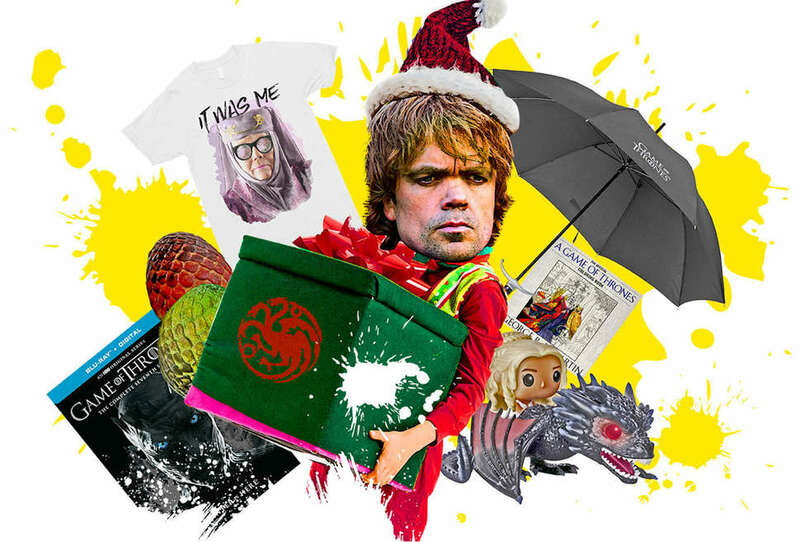 That’s true on the show – which recently wrapped up a super-successful seventh season, and finally brought snow to King’s Landing – but it’s also a handy reminder that the holidays are fast approaching. 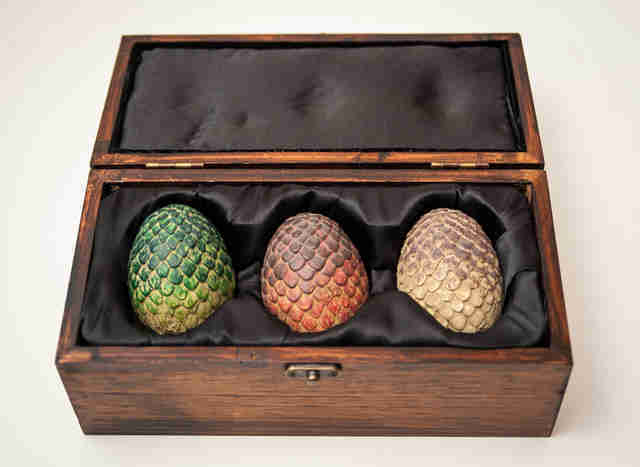 It's time to buy your Game of Thrones gifts. HBO is releasing the latest season of the series on Blu-ray (and DVD, if that’s how you roll) this December 12. 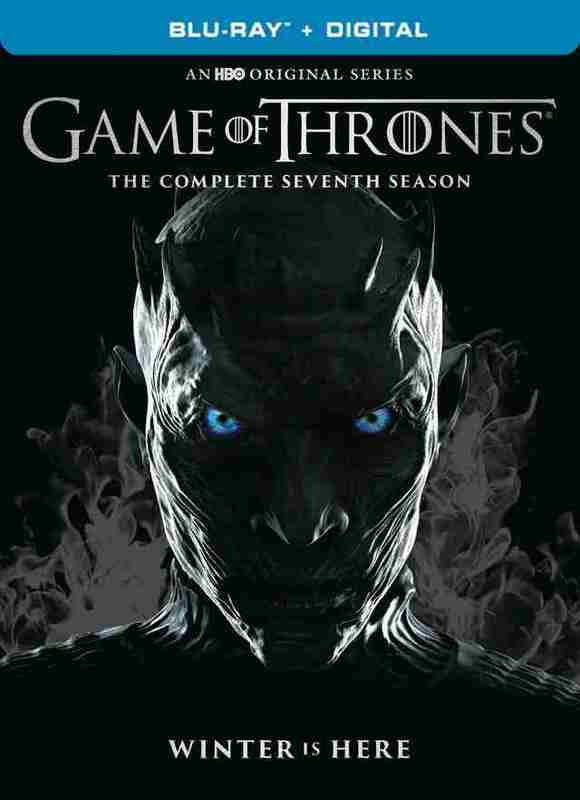 Bonus features include audio commentaries with the cast and crew, a look inside the art department, animated features depicting the history of the Seven Kingdoms, and more. Perfect for staying in from the cold and playing catch-up. 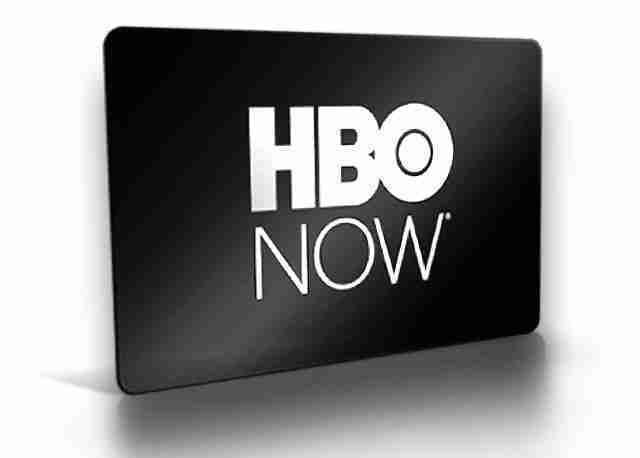 If you don’t want to waste your loved one’s valuable shelf space, and they don’t care about extras, maybe try an HBO Now gift card. The subscription gives them full streaming access to every episode of Game of Thrones, and the rest of HBO’s digital library, for two full months. That’s plenty of time to get hooked on the show, and if everything else is enticing, they can easily up the length of their contract. With the eighth season of Game of Thrones on an extended hiatus (we likely won't see new episodes until 2019), now’s the perfect time for show-only fans to delve into Martin’s first five books. 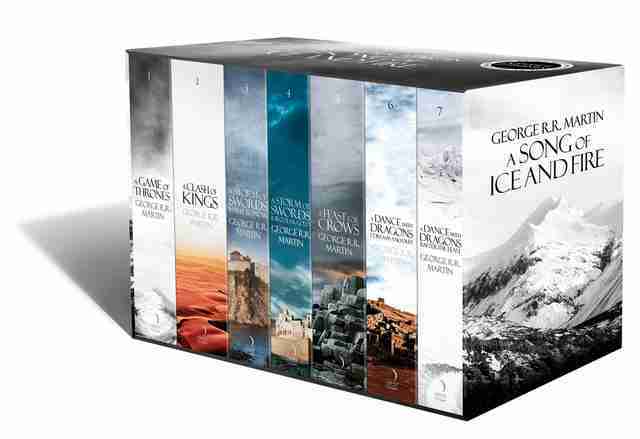 And hey, who knows, he might surprise us with a release of the sixth book, The Winds of Winter, during the show’s long break, which is another great excuse to catch up on page. 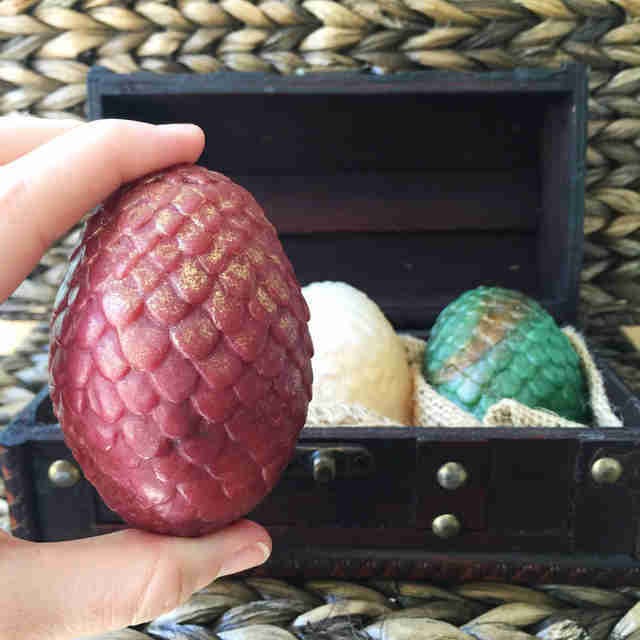 Perfect for the Khaleesi in your life, this beautiful replica of Daenerys’ pre-hatch dragon eggs is a quality collectible. 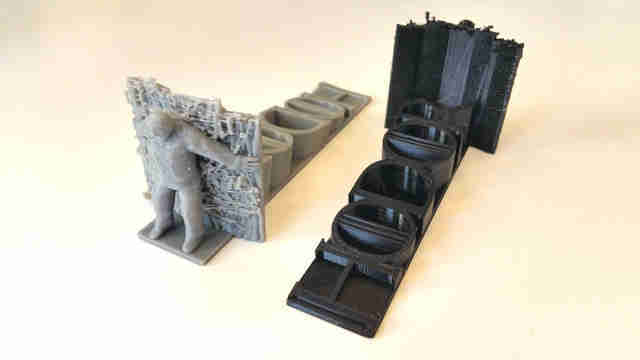 It may not be the real deal (rumor has it that Jay-Z bought the show’s actual prop eggs as a gift for Beyoncé) but the detail is excellent for a small-scale replica. Everyone loves a good Funko POP, and this one is especially awesome. 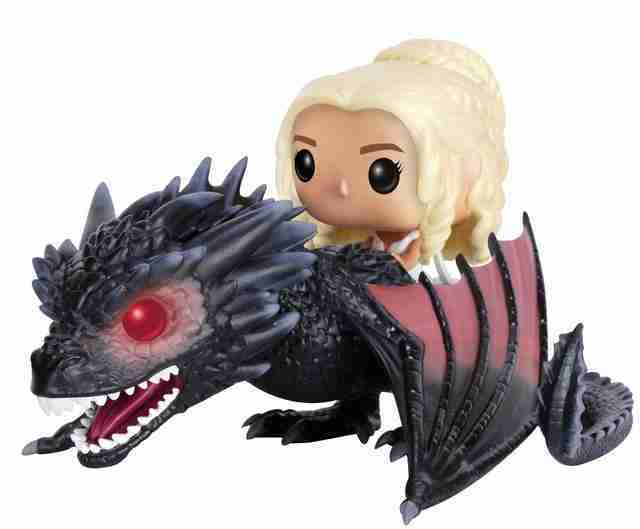 The cute collectible comes straight out of one of the show’s most iconic scenes, when Daenerys rides Drogon out of the fighting pit in The Dance of Dragons. Any Dany fan would surely love this on their desk. This officially licensed (and limited edition) Lannister shield replica would look proud on the wall of your favorite lion-hearted loved one. 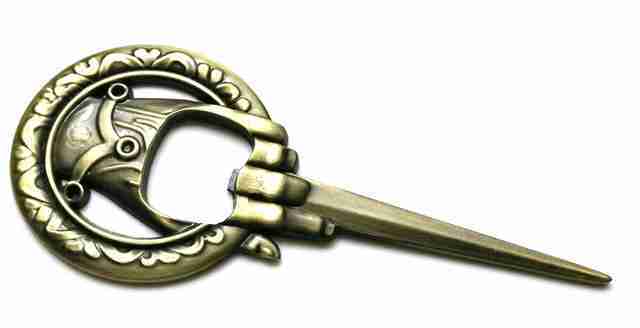 Valerian Steel also makes sword replicas, if you need an Oathkeeper to complete the look. A gift fit for any booze-loving Thrones geek. As the description says, “The closest advisor gets to open the beverages.” We bet Tyrion would be jealous of this one. 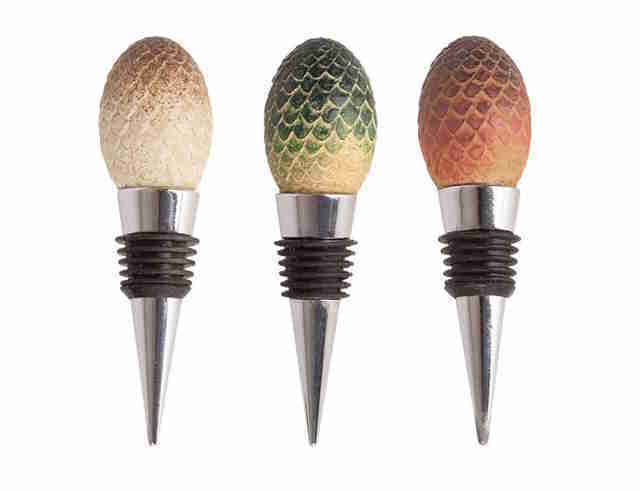 Who needs real dragon eggs when you can have mini versions that stop wine from oxidizing? The nerdy winos of the world deserve such a luxury. 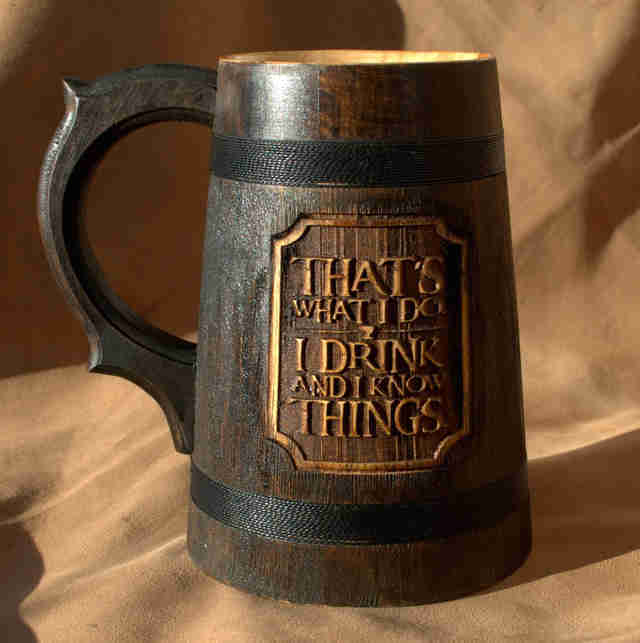 Inspired by the Tyrion quote heard ‘round the world, this clever mug is hand-crafted and can be used for hot and cold drinks alike (it’s alcohol resistant and holds temps. up to 150 degrees Fahrenheit). It’s also customizable, if you’d like something engraved on the bottom. 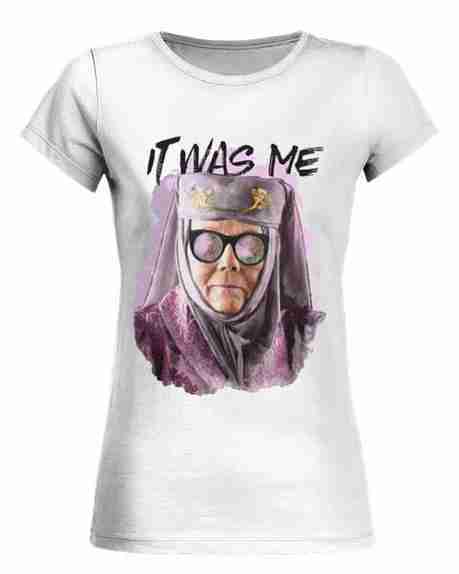 Commemorate the best final line in the history of television with this amazing and perfect Lady Olenna T-shirt. The colors and font (and sunglasses) make an already iconic character moment even more badass. Who knew it was possible? 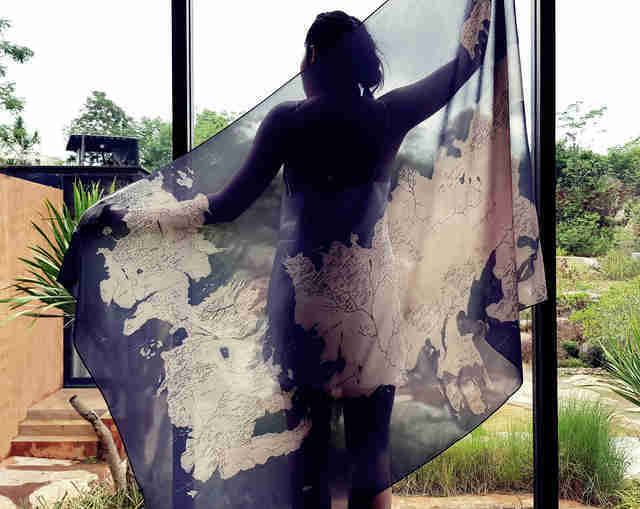 We love this beautiful chiffon version of the classic Westeros map. The colors are rich, the quality is high, and there’s no better way for someone to show their Thrones love than with a classy – and affordable – piece like this. Anyone who lusted over the gorgeous Stark-emblazoned velvet dress that Sansa wore in "Battle of the Bastards" will love this practical hoodie version. 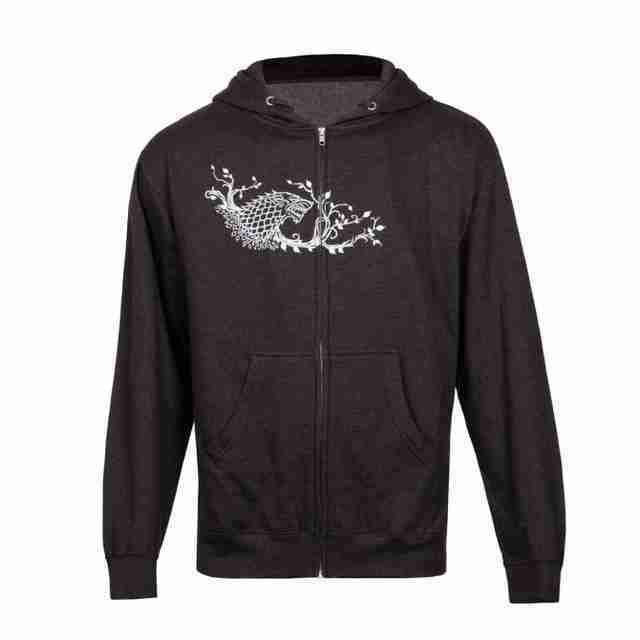 Like the description states, "this zip up sweatshirt shows that you stand behind House Stark!" 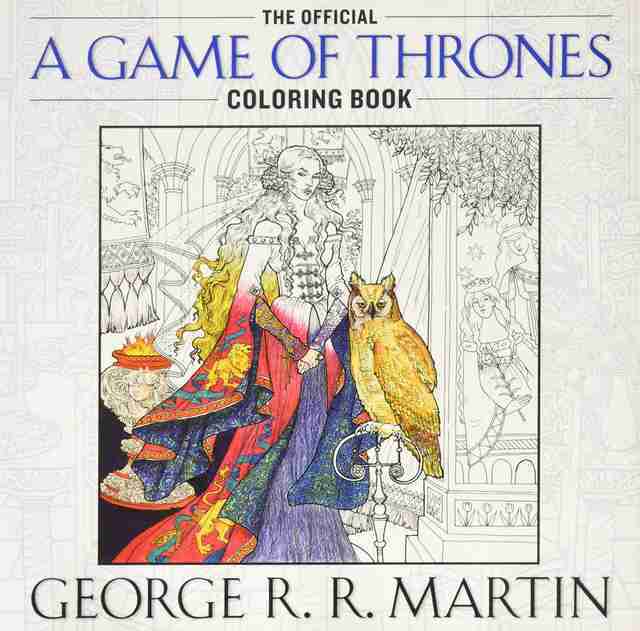 Inspired by the first book in Martin’s series, this is great for fans who love to ease anxieties with the quiet, easy rhythm of coloring. We recommend playing the show in the background for some ultimate relaxation escapism. We’ve featured a bunch of egg-themed gifts on this list, but we’re pretty sure this is the only one you can use to wash your body. Made from natural mica and vegetable-based glycerin, these soaps are earthy, soothing, and beautiful. Perfect for the bath-lover in your life. 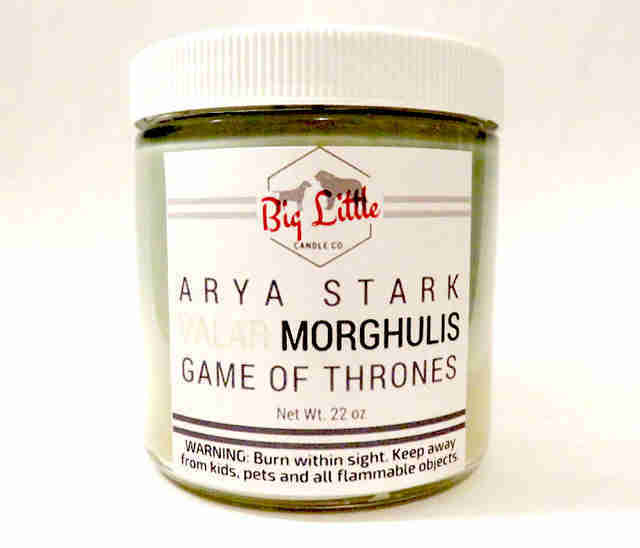 The Big Little Candle Co. makes all sorts of nerd-inspired soy candles, five of which are dedicated just to Game of Thrones. We love this Arya one most of all, since it smells like "incense, smoke, earth and revenge." A great gift for any eco-loving master of zen. Real swords are heavy and expensive, but that doesn’t exactly stop someone from wanting a Longclaw replica. 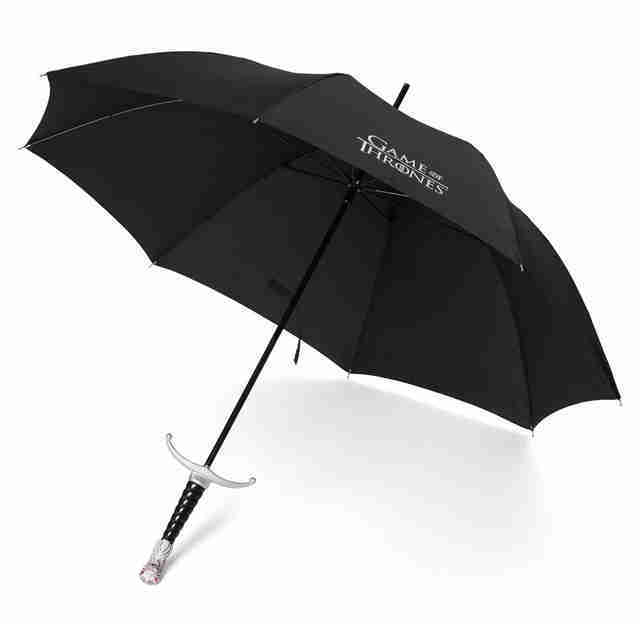 That’s why this Longclaw umbrella is such a great gift: in addition to looking insanely cool, it’s also handy! 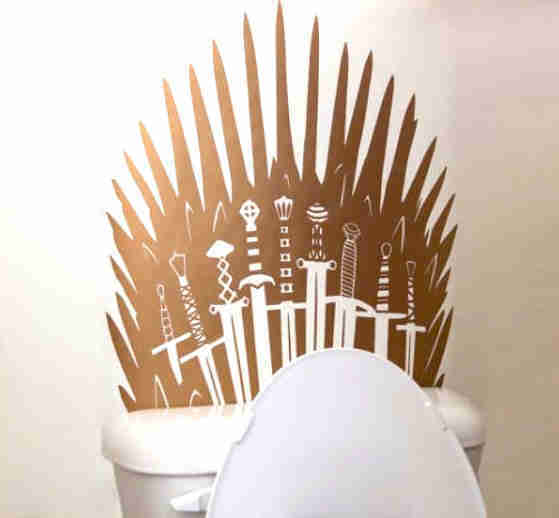 If you can’t buy a real-life Iron Throne replica, settle for the second best option: this golden toilet decal, which makes every trip to the bathroom a royal affair.